Glynda Lasseigne, LMF of Town & Country Florist & Gifts is a Louisiana Master Florist and your premier full service florist serving Berwick, Amelia, Morgan City and Patterson, Lousiana since 1983. 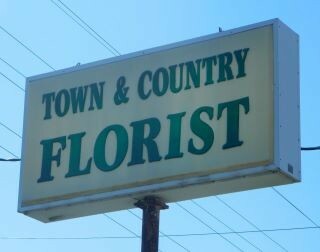 Call Town & Country Florist & Gifts or stop by our shop on Hwy 182. We are sure that you will be pleased with your floral purchase. We are open daily 9:00 am to 5:00 pm Monday through Friday, 9:00 am to 12:00 noon Saturday, closed on Sunday. We carry a large selection of fresh flowers, and green and blooming plants, as well as gifts and collectibles including Roman Seraphim Angels, Tyler candles, gift baskets, Lampe berger Lamps and Oil. We have reliable daily delivery to Teche Regional Medical Center and Twin City, Hargrave, Iberts and Jones funeral homes.